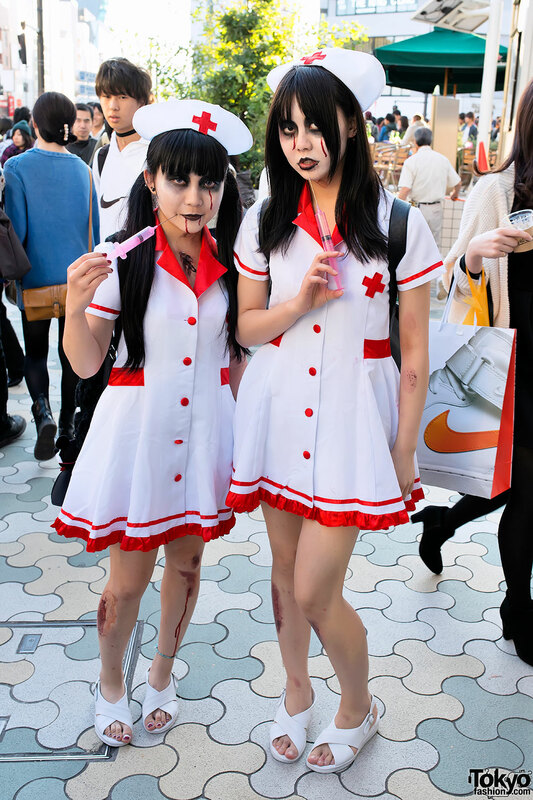 A Japanese horror nurse with shironuri makeup on her way to the “White Face Monster Party” in Harajuku. 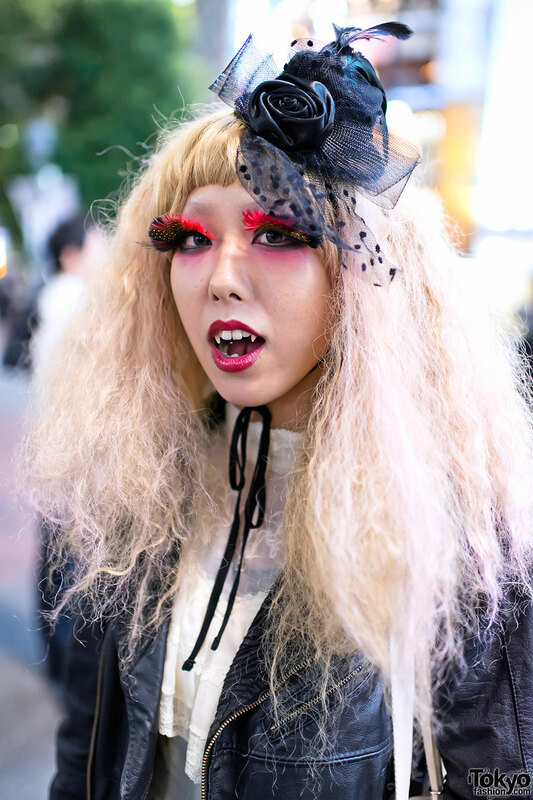 100+ pictures & video from the “White Face Monster Party”, a large gathering of Japan’s shironuri subculture on the streets of Harajuku. 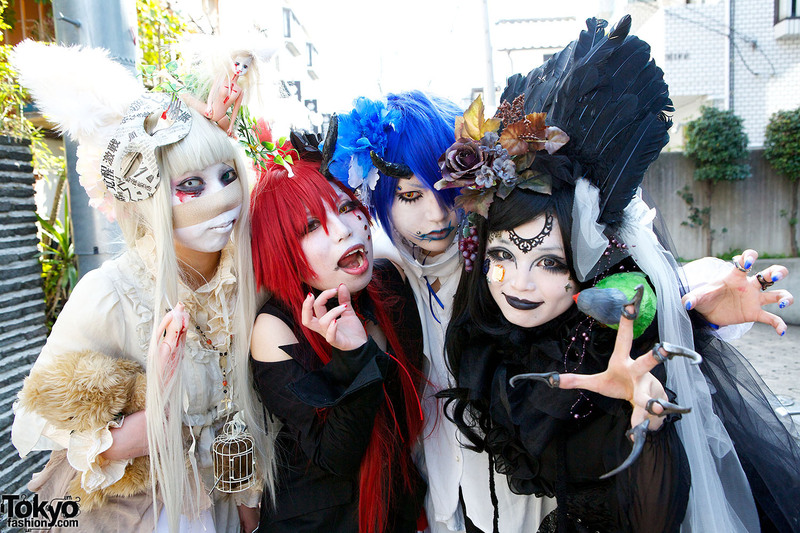 Pictures of the Harajuku Kids out promoting their upcoming Tokyo Halloween party on the streets of Harajuku. 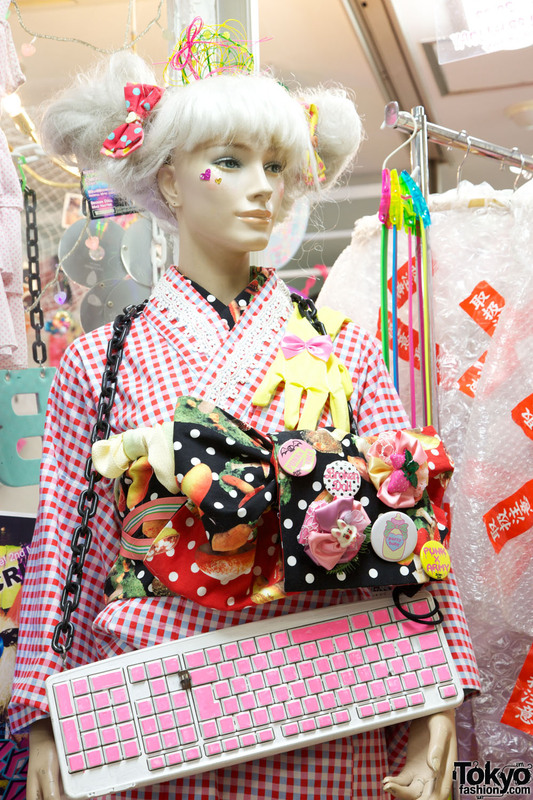 A profile of the popular-in-Harajuku Japanese indie fashion brand Broken Doll, the Japanese rock band Broken Doll, and the Tokyo shop of the same name – Broken Doll! 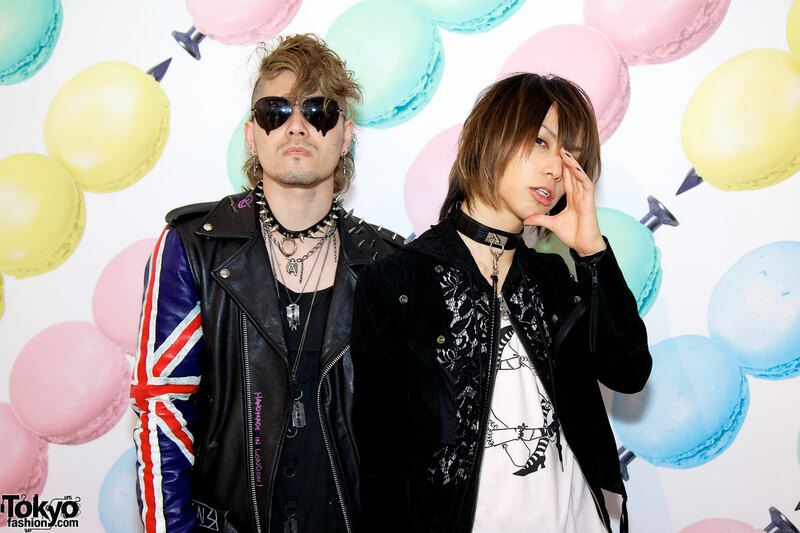 Pictures and a report from the Million $ Orchestra “Pastel Horror Yum Yum Show” exhibition in Harajuku with Takeru from SuG and Norimi from Alice Black. 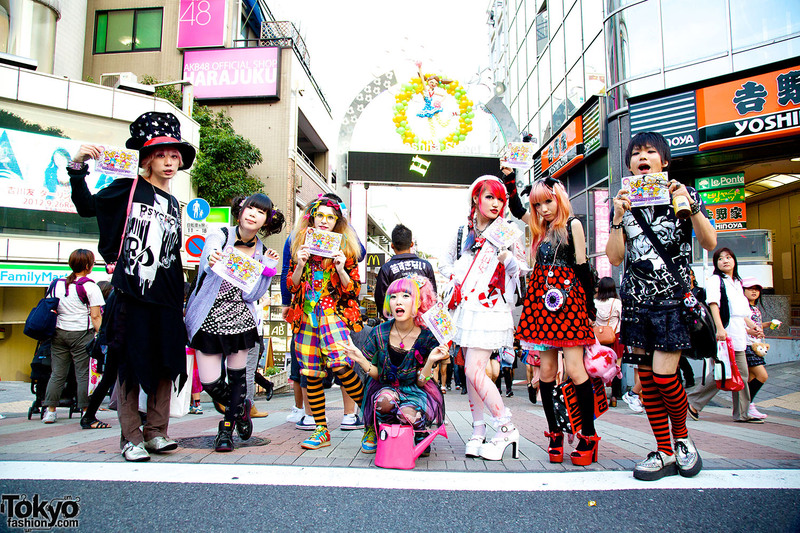 Edgy Japanese teen with multiple facial piercings and gauged earrings wearing a horror-themed dress, tiger tights from Nadia Harajuku, and George Cox Creepers. 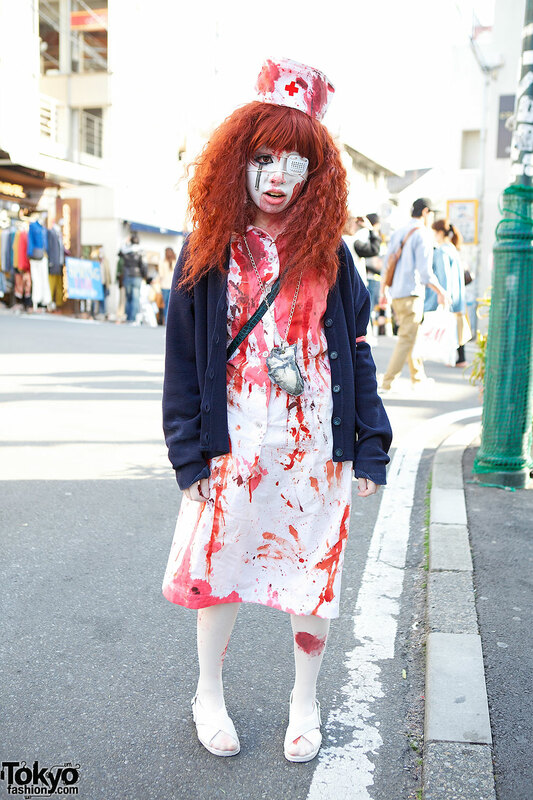 20-year-old Japanese girl with short red bangs hairstyle, rock t-shirt, denim shorts, and striped over-the-knee socks in Harajuku.